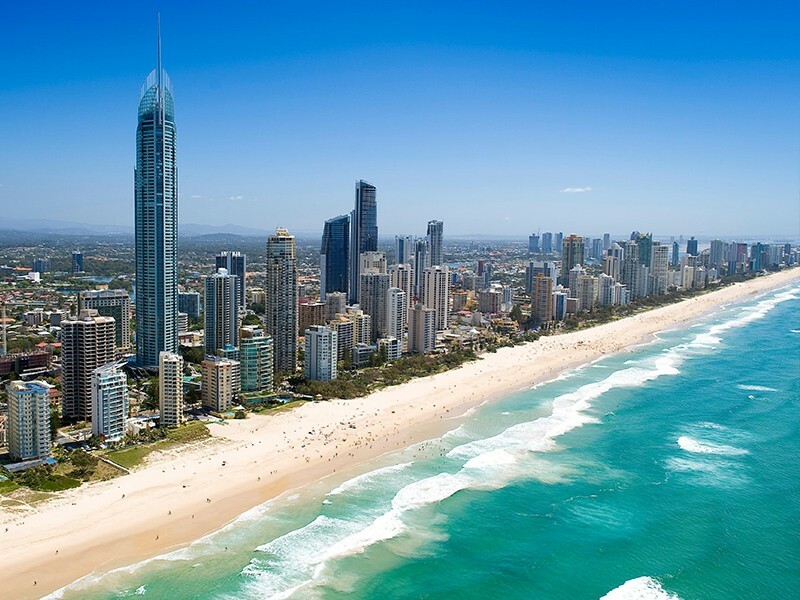 Surfers Paradise is the main hub of activity on the Gold Coast. 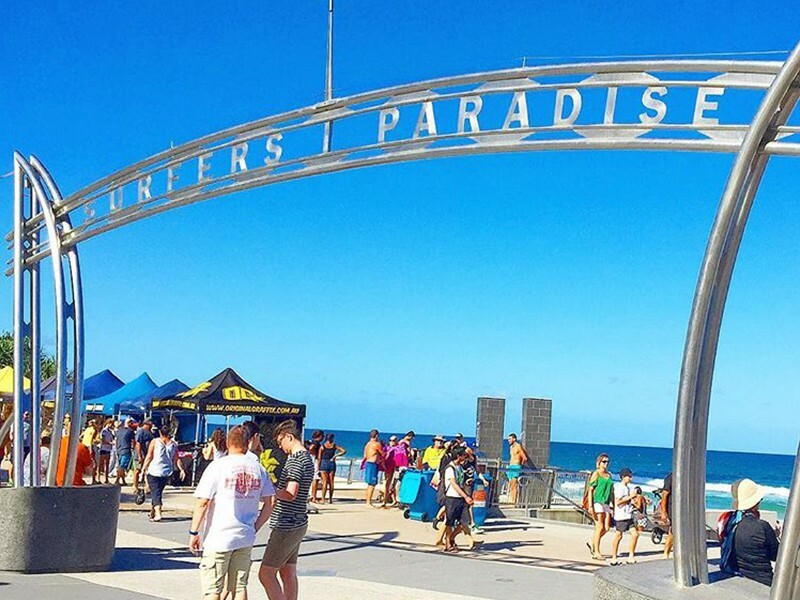 It’s front and centre in all the campaigns, so it’s Surfers Paradise beaches, restaurants and attractions you’ve likely seen advertised. And for good reason. It’s damn beautiful. 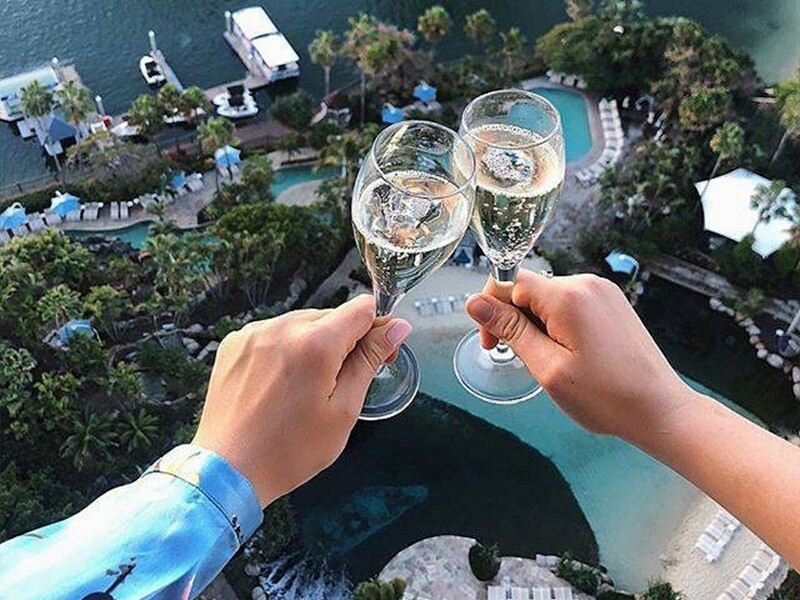 From the thundering sapphire waves crashing down onto golden sand beaches to the most incredible array of attractions to every kind of dining your heart desires this destination knows how to please. This is where you’ll find meter maids in gold bikinis, Q1 (tallest building in the southern hemisphere), and the famous beaches. 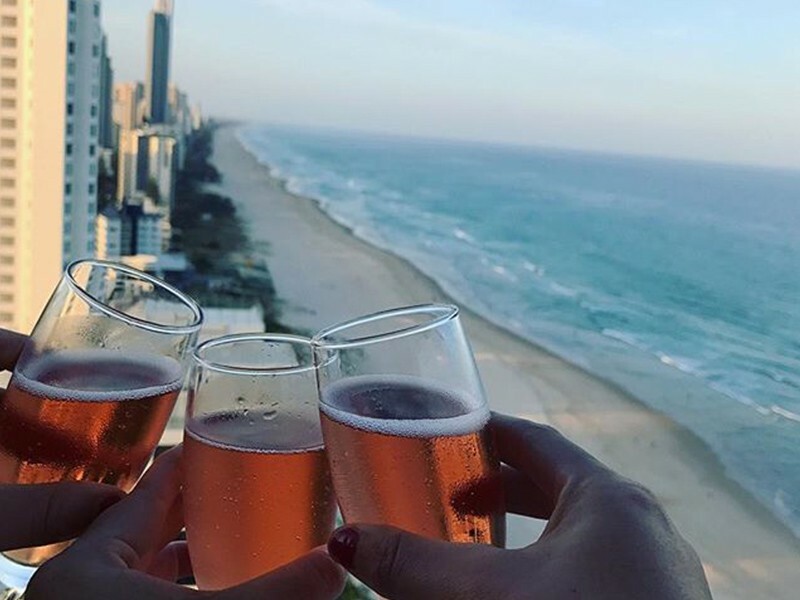 A holiday to this Gold Coast hot spot means there is always something to do from hanging out and playing beach cricket, to checking out the local attractions, to dropping by the latest event that’s hitting Cavil Mall, to relaxing poolside at your resort, boredom is a thing of the past in Surfers Paradise. 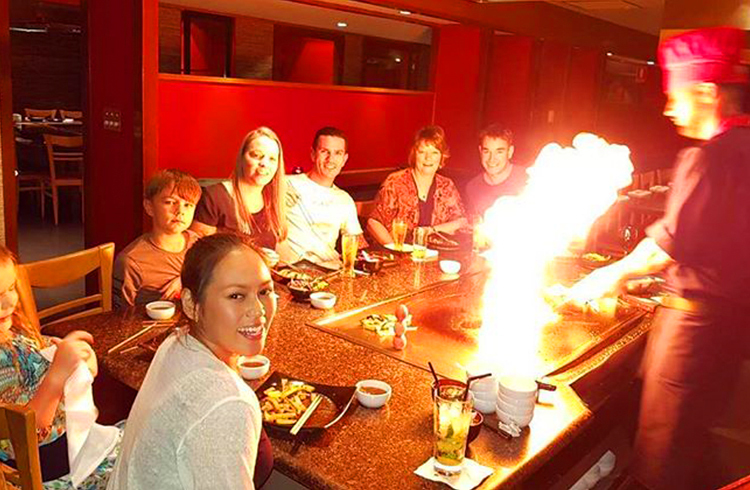 It’s also smack bam in the middle of the Gold Coast, making it the perfect base to explore north to the theme parks and south towards the hinterland. 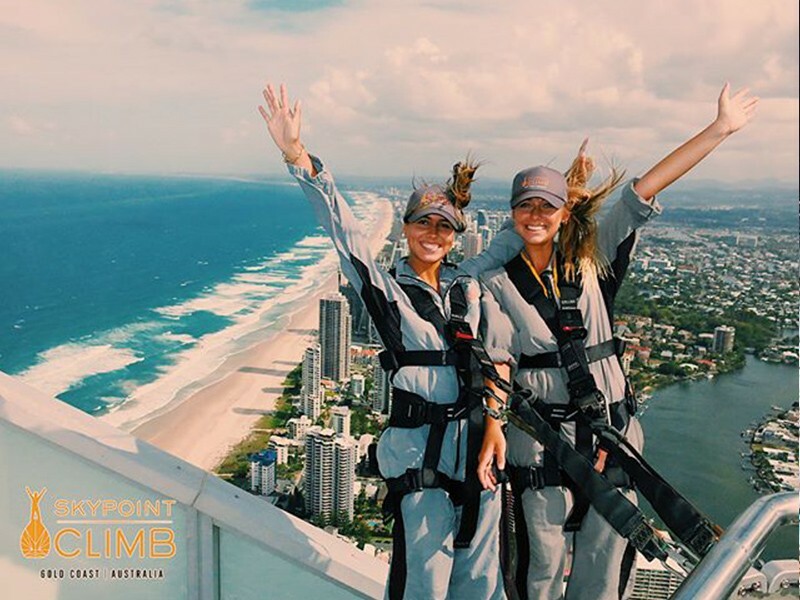 By Air – You can fly to the Gold Coast airport and get a short 30 minute transfer (or Uber) to Surfers Paradise. 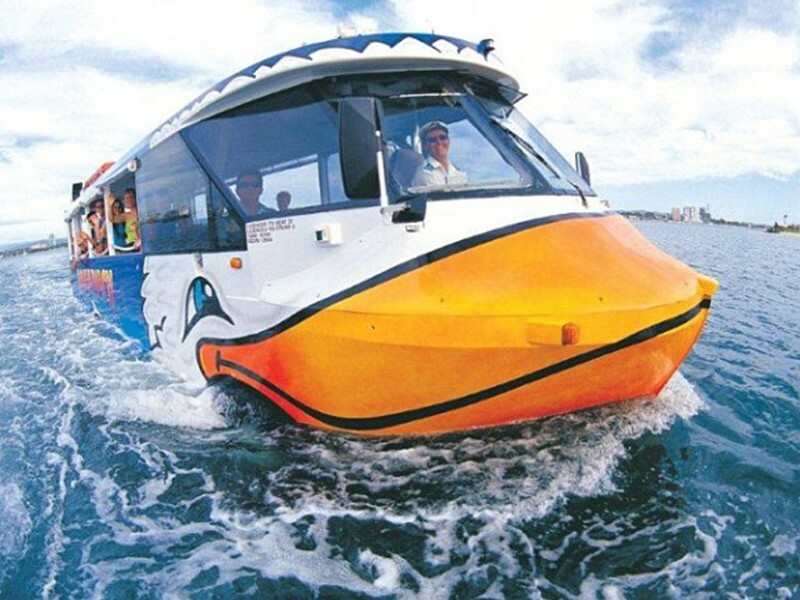 Alternatively you can also fly into Brisbane Airport and get an hour transfer to your hotel. By Rail – You can jump on a train to several stops including Helensvale Train Station in the North and jump on a tram to take you directly into Surfers Paradise. Coming from the south you can catch a train into Varsity Lakes and jump on a connecting bus. By Road – The Gold Coast is an easy one hour drive south from Brisbane straight down the pacific motorway or 1 hour north of Byron Bay. 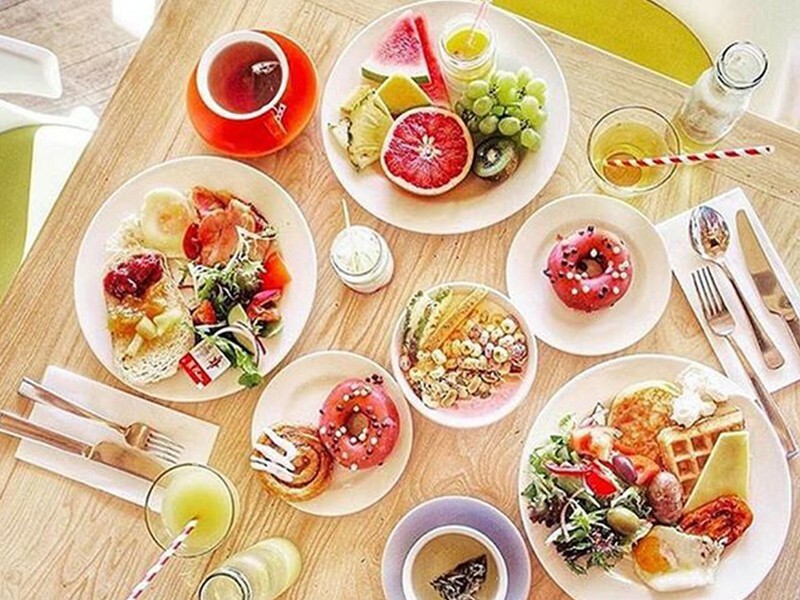 If you’re looking for our favourite Breakfast restaurants check out this blog for more details. 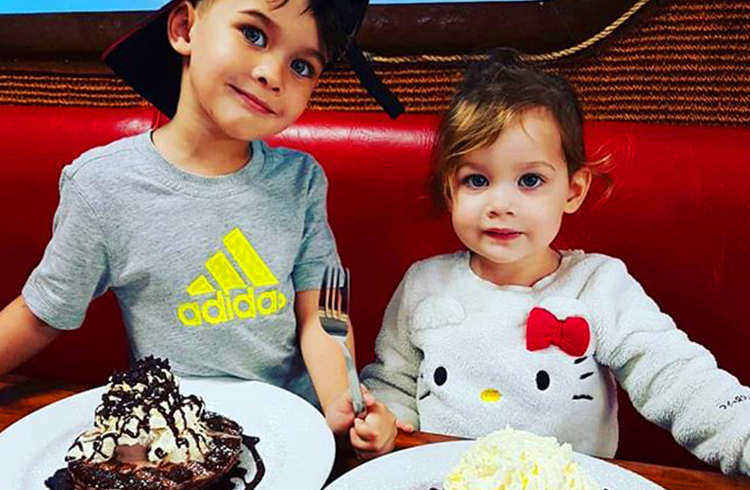 Read our blog on Our 5 Favourite Family Restaurants for more details! 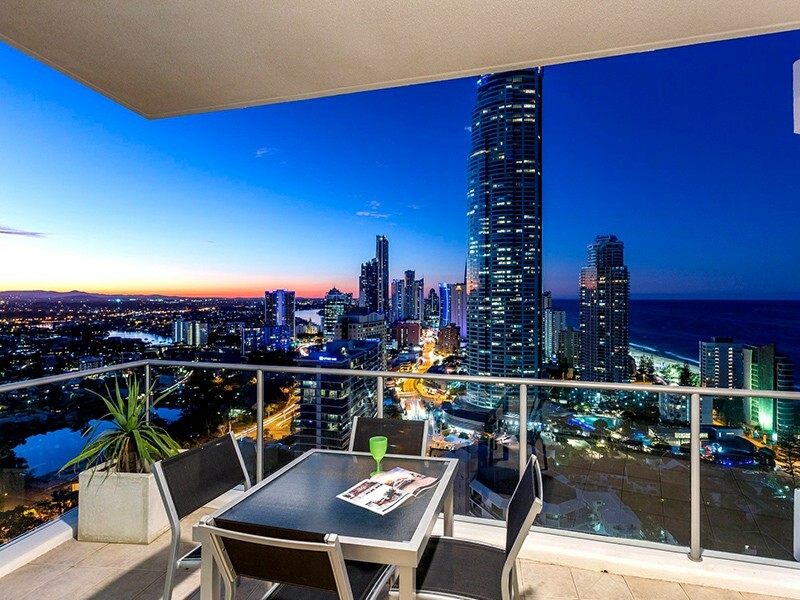 Surfers Paradise accommodation is plentiful, but can be overwhelming! Call us on 1300 788 553 for a personalised holiday recommendation and for our specials! 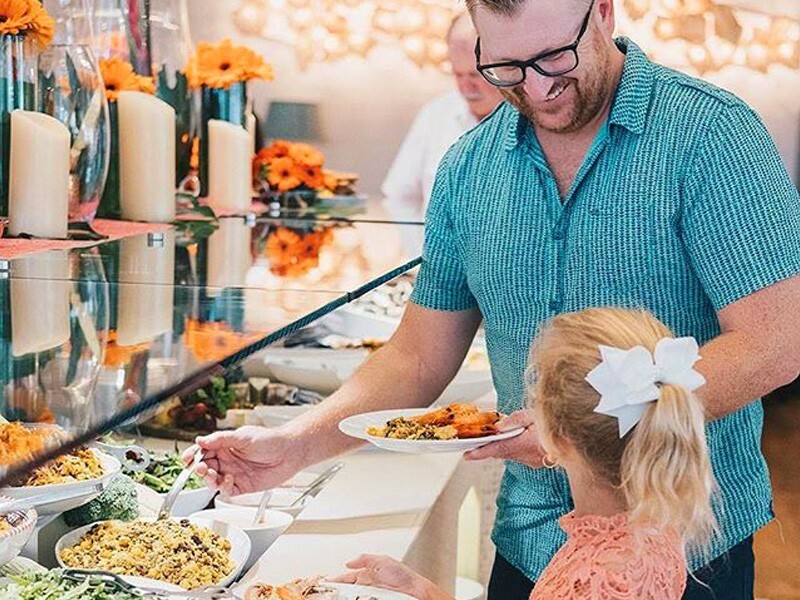 Here you will find unparalleled service, dining, and facilities including waterslide, waterfall, whirlpool and tropical fish in the sandy lagoon! Plus it’s also great for couples. 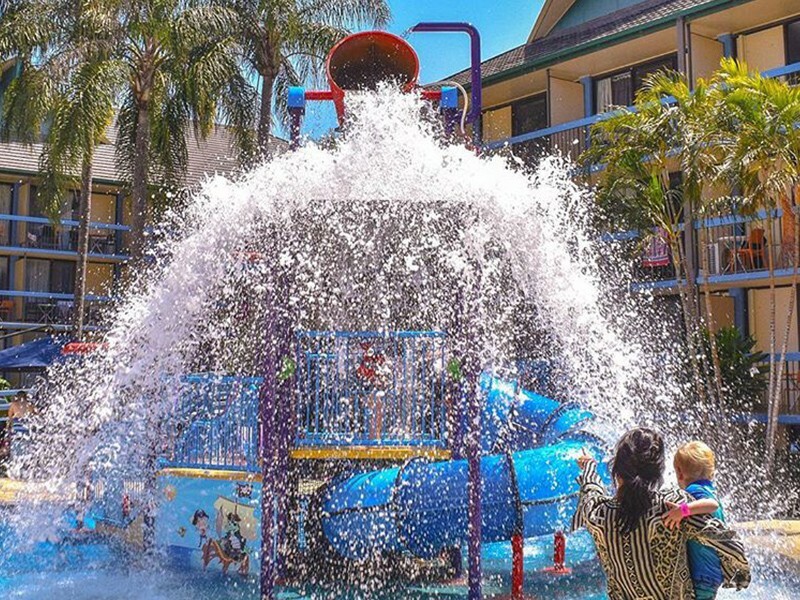 This resort is sporting the largest lagoon pool in Surfers and an ideal central location, along with great sized apartments. 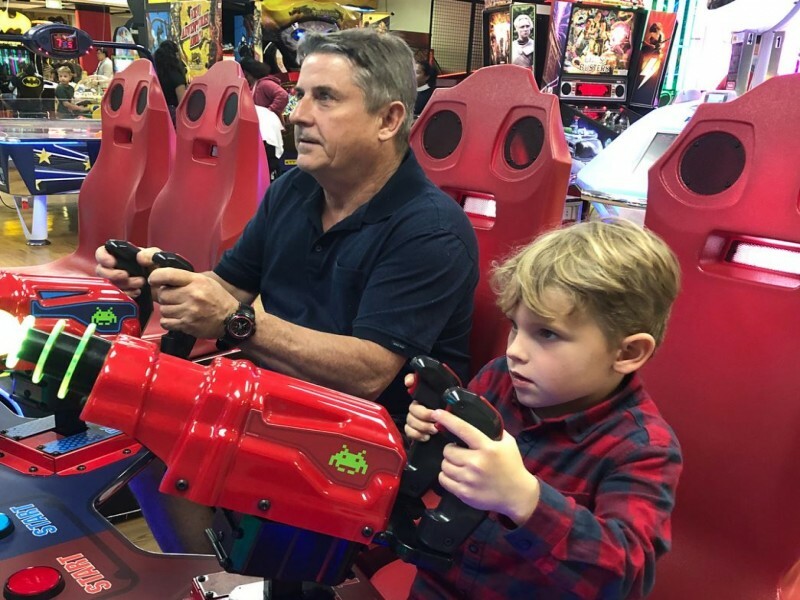 Families don’t need to leave this resort with themed rooms, an amazing kids club, waterpark with cannons and tipping bucket (a separate water park for small children), daily activities this is heaven for kids and paradise for parents. Picture incredible panoramic views, spacious apartments, and a great location. Utter luxury in the heart of Surfers Paradise, a short walk to the beach, surrounded by shopping and attractions! 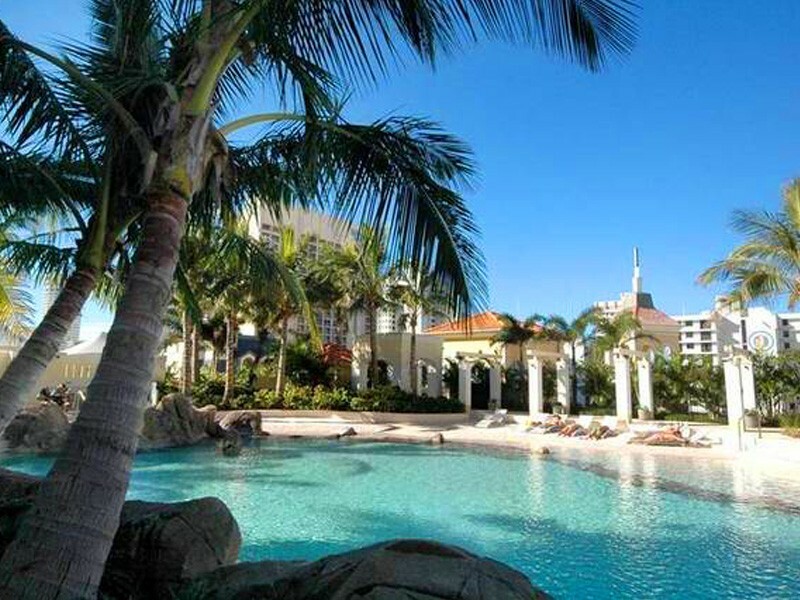 For those who love the beach, Surfers Aquarius is one of the only absolute beachfront resorts in Surfers. 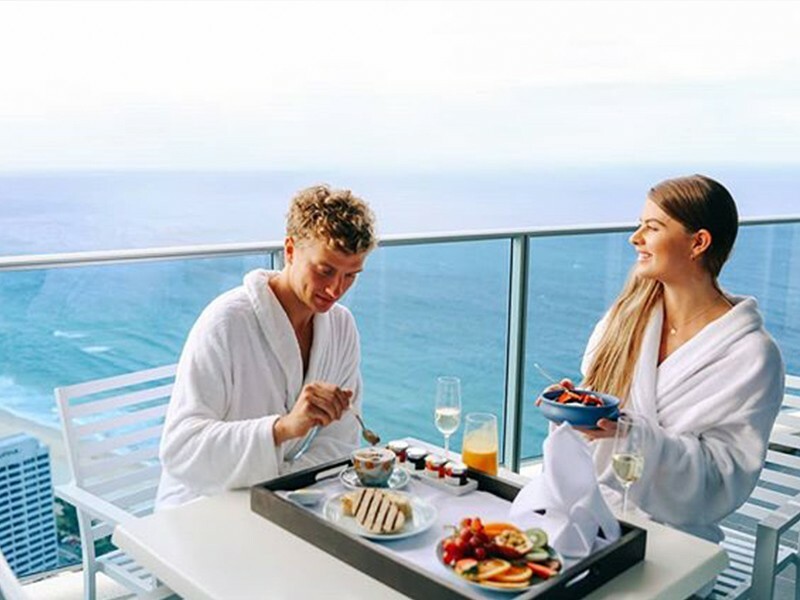 If you are looking for an iconic Gold Coast holiday with plenty of things to do and see, beaches to enjoy, restaurants to dine at, and several accommodation options to choose between – Surfers is the place for you! 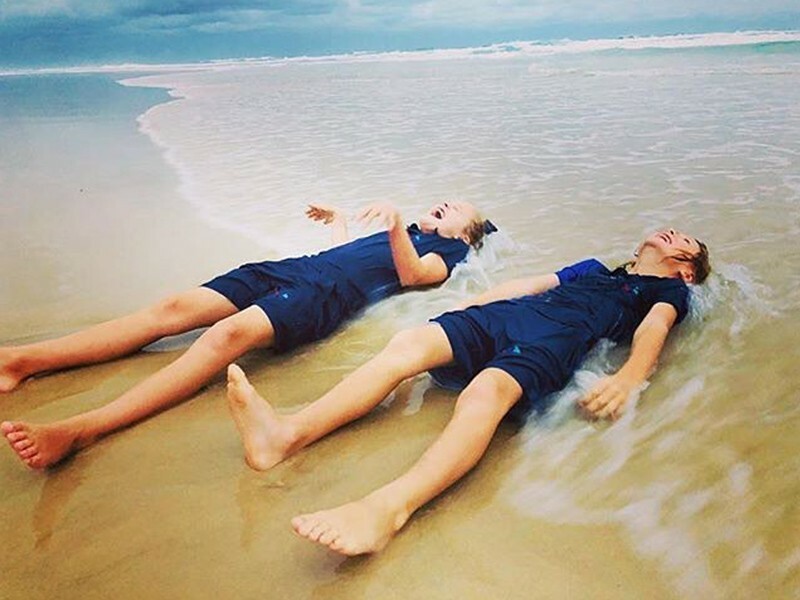 Call us now on 1300 788 553 to book your Surfers Paradise getaway!